Experience some trail walking with a beautiful natural waterfall to spark up the fun. This trail is located in the mouth of Highway 189 featuring parking lots, grassy areas for a nice picnic lunch, and more. Open all year round with scenic views that will never fail you. Nothing beats landscapes views and a breath of refreshing mountain air with endless adventures awaiting you in Provo Canyon. This is a great place to go running, biking, long boarding, or slow it down with a nice stroll to embrace nature at it’s fullest. Provo Canyon is a place with wildlife, beautiful trees, and a place to visit often explore all the different activities that go on inside this great canyon. The Murdock Canal trail is a 17 mile long paved trail that begins at Orem City cemetery and winds all the way to Adobe in Lehi. This trail is a hidden gem that is a great way to get your legs moving and to enjoy the farms throughout the valley. This is a great spot for cyclists, runners, and rollerbladers to breeze through this lovely trail. Looking for more outdoor fun? Check out a list of other options here. Not only is Orem a lovely place to embrace nature, but also a great spot for delicious restaurants and catering! If you are local to the area, Apple Spice catering is the perfect choice for an every day work lunch, business meetings, corporate events, and more. The freshest ingredients and professional staff members to bring the best catering experience. Check out our menu options to book your first order with us! This restaurant, parlor & bar has it all, from cocktails, craft beer, and wine to brunch, lunch, and dinner options. Delicious small plates, oven cooked pizzas, and more you seriously can’t go wrong with whatever you order at the Barrow House. Come taste the authentic taste of greek cuisine with high quality ingredients and homemade recipes imported from the land of Greece. Offering Souvlaki Platters, soups, salads, and more you will not be disappointed! The Casual Habana Cafe is the perfect fun and energetic atmosphere for a girls night out or hot date night featuring lunch, dinner, delicious cocktails, desserts, and more. Habana Cafe also offers take-out and catering if you decide to take the party somewhere elsewhere. Looking for more? Discover more restaurants to try in Bergen County to satisfy your pallet to the fullest. Local to the area and always on the hunt for catering options for office lunches, business meetings, or corporate events? Apple Spice offers fresh ingredients featuring baked bread, salads, homestyle soups, and gourmet sandwiches for an every day boxed lunch or for work meetings. Check out our delicious menu options to book your first order with us! Bohemian Brewery offers rich and unique brews, tasty food, and a great atmosphere. If you love a good Lager, this is the perfect place for you. The finest brewing in Salt Lake City with food options including starters, sandwiches, salads, soups, and more. The famous neighborhood upscale restaurant featuring sandwiches, salads, appetizers, and lastly their famous mouth-watering desserts. If you love a nice sweet treat after a nice meal, this is your place! A chef inspired menu with Tuscany vibes and authentic Italian ingredients. This is the perfect spot after a long day of shopping at Fashion Place mall. Brio offers a delightful brunch menu on the weekends with tasty cocktail options to go with it. Looking for a bigger variety of places to eat in the Murray area? Check out a few other options here. If you are local to the area, Apple Spice offers box lunches and corporate catering for business meetings, events, or an every day lunch at the office with the freshest ingredients to meet all of your lunch needs. Check out our menu options to make your first order asap! Get active and enjoy the scenic views around the water by renting pedal boats. Perfect for a sunny day and good weather. A great family activity or romantic day date! 88 locations of bike stations that allow you to bike all over the wonderful city. Whether you love bike trails or choose to cruise through the city, this is a great outdoor full day activity. Exercise, nice views, and a way to get to know more about Denver. Kayak on the whitewater chutes to get the the best outdoor adventure experience. Confluence kayaks also offer rentals, kayak lessons, and more. This is a great way to step out of your comfort zone and take outdoor fun to the next level! Local to Denver and looking for more urban adventure for your weekends? Check out more outdoor thrills to experience it all. Once the weekdays roll around, it’s time to get back to work. Check out Apple Spice here in Denver featuring box lunch delivery and catering options perfect for an everyday work lunch, business meetings, corporate events, and more. Fresh ingredients that will fulfill your everyday lunch routine. You can never go wrong with a Marriott. Fine accommodations, high-end modern amenities, wifi to give you a great hotel experience. The Marriott Columbia is located near Main Street in Downtown with access to restaurants, museums, Township theatre, and more. Located in the heart of Vista close from the airport, Aloft is located near endless restaurants to try and brings a high-energy vibe to the area. This is a great area where locals hang out and many visitors are welcomed. If you thrive from nightlife and being in the happening atmosphere, this is a perfect choice. A spacious and cosmopolitan hotel with complimentary breakfast, fast internet, and shuttle services to get you anywhere you need to go including shopping centers, restaurants, and more. Embassy Suites strives to meet every customer’s need leaving you with a wonderful experience. Looking for more hotel options for your upcoming trip? Here are several other alternatives that have great ratings and high-stars. If you are local to Columbia and always on the hunt for high-end catering services for your work events and special occasions, Apple Spice here in Columbia offers fresh box lunches and corporate catering menu options perfect for meetings, conferences, corporate events, and more. Check out our menu options to book your first order! Visiting or currently a local to Spring, Texas and looking for new places to eat? Spring has a tremendous amount of diverse restaurants with rich flavors and great service. If you have run out of options of places to eat, below are 3 top-rated restaurants you must try! The finest of dining in The Woodlands! Known for their chef tasting menu, experience an 8-course dinner with the freshest ingredients made by professional chefs in the kitchen. This is a perfect spot for special occasions, work dinners, date nights, or a birthday celebration. This restaurant is definitely a must-try. A business casual dining experience with the freshest seafood in town featuring crab caught right from local fisheries and delicious wines to go perfectly with your delicious meal. If you are a seafood lover, then this is the perfect spot for you. An upscale new American restaurant with a variety of menus including lunch, dinner, brunch, and bar drinks. Come try their well-known pizzas, steak, pasta, and flavorful desserts. Fieldings also offers seasonal events, local happy hours, and gift cards. The list does not end here! If you are looking for a wider variety of places to eat here in The Woodlands, discover more here. If you are local to the area and always on the hunt for good catering, Apple Spice here in Spring offers box lunch delivery services and corporate catering options for business meetings, corporate events, or an every day work lunch just for you. Check out our menu options to book your first order now! A huge variety of outdoor activities including gardens, parks, hikes, caverns, biking, and more. This is a time of year with cooler weather which means make sure to bring a jacket. This is a beautiful time of year to experience a slight chill and embrace nature. Let the tour guides take over and experience a food tour, walking tour, bus tour, or ever a cruise tour! Indulge in this wonderful city and learn avout the rich history and beauty behind it. If you appreciate fine art, theatre, and adventure then this is right up your alley. 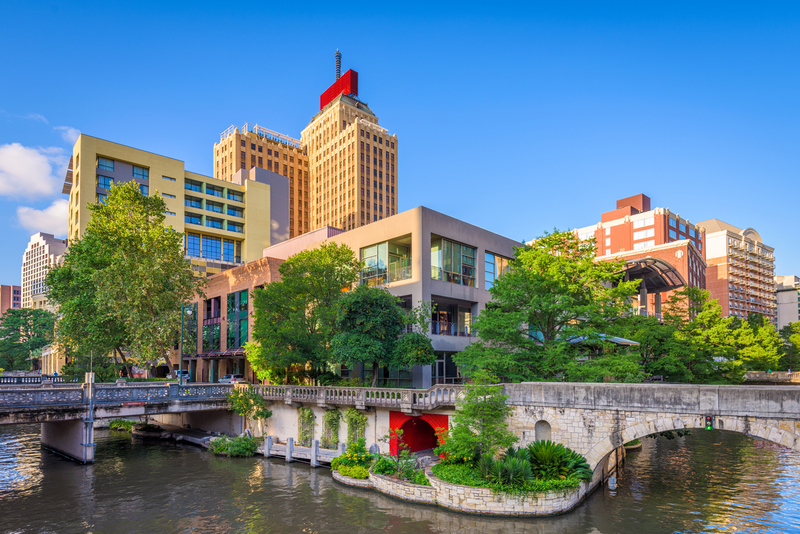 Have fun and take in the local fun of San Antonio, you will not regret it! The list doesn’t stop here! Check out the full list of things to do while visiting San Antonio. Looking to settle in San Antonio or already a current resident? Check out Apple Spice Box Lunch & Catering here in San Antonio perfect for an everyday work lunch, corporate events, business meetings, and more. We bring fresh ingredients and high-quality service to meet your every need. Love trying new restaurants, being outdoors, and bonding with friends and family? Milwaukee is the perfect place to visit to experience all of these incredible things while traveling! Check out 3 of the top underrated things to do while visiting or traveling back to Milwaukee. After 10 years, this has become an iconic place in the city where art lovers can get a taste of over 20 different types of work with 22 incredible artists who have made this place quite the vision! This is free and is a great place to come get cultured, inspired, and entertained! This is a great multi-use trail path with beautiful scenery in the metro area of Milwaukee. Grab your road bike, rollerskates, or just bring your feet with you to take in nature and embrace the crisp air. There are a lot of systems you can access to get onto this trail, so make sure to check a map to see which entrance is best for you! There is a terrific food scene to experience in this city. From small plates to burgers it is all delicious! For a list to get you started, start browsing these options here. Speaking of restaurants, are you a local to Milwaukee and always looking for a great caterer for events, business meetings, or an everyday lunch for the office? Apple Spice is new to the area and features fresh salads, sandwiches, soups, and more with high-quality staff members to meet your every need. To check out our menu options, take a peek here! Prepare for your upcoming event by serving the best-catered options here in North Metro, GA! Fresh ingredients, professional services, customized menus, and more. Discover 3 of the top caterers in the area who will meet all your needs. Innovative and original cuisines for a variety of events with menus for every occasion! From celebrations to brunch menus, they have got it all. Professional chefs are working behind the kitchen preparing food to fit any menu or preference! Perfect Gathering caters for weddings, receptions, and corporate parties with menu selections for every type of occasion. They can take care of floral arrangements, setup and clean up, decor, and equipment rentals. off-site catering is their specialty because they believe customers deserve the best! Apple Spice is the perfect corporate catering company featuring box lunches, hot and cold catering, freshly baked bread, coffee, and more. Whether it is lunch for one or for a business afternoon meeting, we have got you covered. Check out our menu options to book your order for your next upcoming event! The goal at 3 Keys is to bring good food, good beer, and good times. They have a huge variety of craft beers and specialize in West Coast ales and German recipes with fresh local ingredients. They offer salads, delicious burgers, and soups with ingredients that you cannot find anywhere else. Locally sourced food from local farms and fresh seafood that comes all the way from the Gulf of Mexico. They strive to enrich Bradenton’s restaurant and dining experience by integrating global flavors with local ingredients. Take your dining experience to the next level and try this unique and tasty bistro. If you enjoy eating with an amazing view, the Beach House is the perfect dining spot for you. Enjoy a night out to discover their fresh and natural local ingredients featuring gourmet burgers, sandwiches, salads, and incredible seafood options. Alongside with a great meal, try their hand-crafted coctails, draft beers, or wine list to get the full expreince. Looking into catering suggestions for your next local event? Apple Spice offers fresh box lunches and catering options for corporate events, business meetings, and more. Our staff members strive to bring their professional services to all of our customers to give you the best catering experience! Check out our incredible menu to start planning your order.